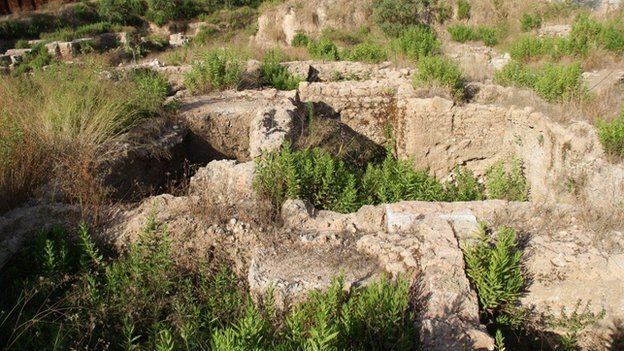 Lebanese activists are resisting a government decision to allow construction of luxury homes over nearly 2,000-year-old ruins believed to be from a 1st Century Roman chariot racing hippodrome. Recently discovered walls are being excavated metres from remains belonging to Beirut's Roman Theatre, reputed to have hosted some 1,400 gladiator fighters in a single day. The two structures towering over ancient Berytus were a testament to the lavish endowments of King Herod who is said to have favoured the city, investing extraordinary patronage to the jealousy of other towns. 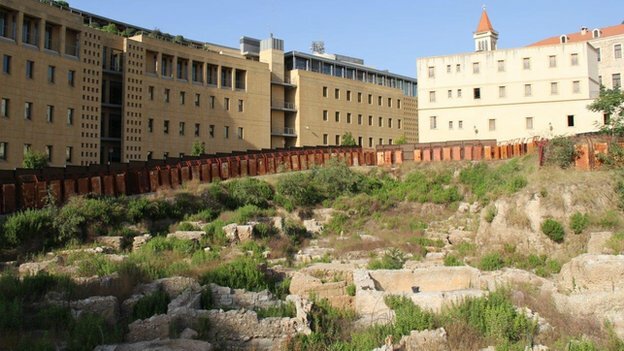 In August, small bulldozers deployed to the area began dismantling a hippodrome wall but have since been halted following a complaint filed with the Beirut governor's office from an activist group known as the Association to Protect Lebanese Heritage. "We are committed to protecting the hippodrome and the theatre," said Raja Noujaim, a retired quality control expert who is leading the association's legal battle. "This is a declaration of war." Three former culture ministers held a news conference decrying construction on the the site where the hippodrome stood last year, yet the approval was delivered earlier this summer by the current administration. The developer, Marwan Kheireddine, a prominent local businessman and current minister of state himself, is now fighting to lift the governor's work suspension and believes claims that the site is historically significant have been grossly exaggerated. The banker and real estate mogul plans to build a multi-million dollar gated community on the plot and says the land alone is worth around $60m. This section of 'hippodrome' wall runs in the shape of a loop, turning just before the sandy-coloured building and coming back on the opposite side. "The overall consensus is that what we found is not worth preserving," Mr Kheireddine said, adding that some "90%" of the hippodrome structure is gone. He said these findings were backed by site studies. 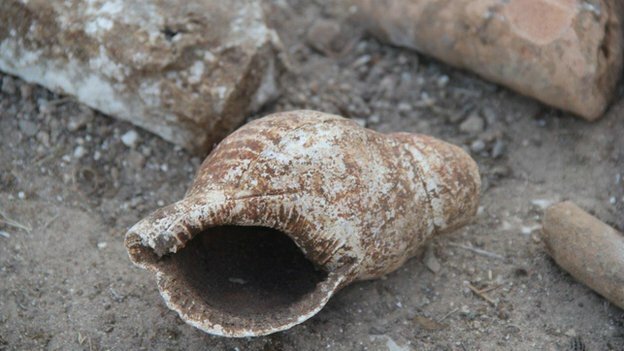 However, he could not provide these and the numbers are disputed by both activists and archaeologists that have studied the excavation. 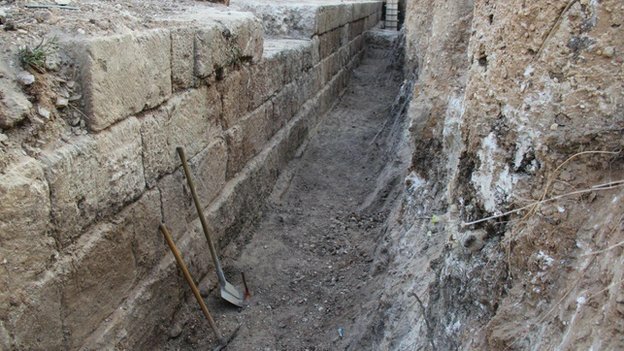 Hans Curvers, a veteran Beirut archaeologist who led the hippodrome dig, says remains include up to a 100-metre (330ft) stretch of the foundation wall which is currently exposed across several lots in the area, tracing the oval path of the track and forming a loop on one end. Also recently discovered is a portion of the southern stand and the circuit's stone-laid central island or Spina. Roman columns litter the site and activists say they could be re-erected along with other visuals to help envisage a sweeping view of the race path. A patchwork of nearby plots remain either partially or completely unexcavated and are believed to contain additional stadium remains, as well as the theatre stage and ancient colonnaded road connecting the two Herodian attractions. "It could be a destination," Mr Curvers said. "The best thing would have been not to build anything and [have the state] expropriate, but that has become a non-issue." His reference is to the ministry of culture's approval earlier this summer of a plan allowing the developer to begin construction of six initial residences cutting right through the middle of the remaining hippodrome grounds. Marwan Kheireddine says he is generously offering 4,000 square metres of basement space - worth an estimated $10m - to display some 38 metres of the foundation wall that falls on his property. He says it will be lit up and viewable to the public. But archaeologists warn that high security developments are traditionally not welcoming to sightseers. At the same time, many are cynical about the state's ability to provide a guard or even maintain the grass. Preservationists, on the other hand, argue that a hippodrome site should be open air. "What is he preserving? A wall," exclaimed Raja Noujaim. "We are talking about a hippodrome. Where do we see a hippodrome kept under a building?"